Save your corks from your travels abroad, or just from home in this innovative accent piece. 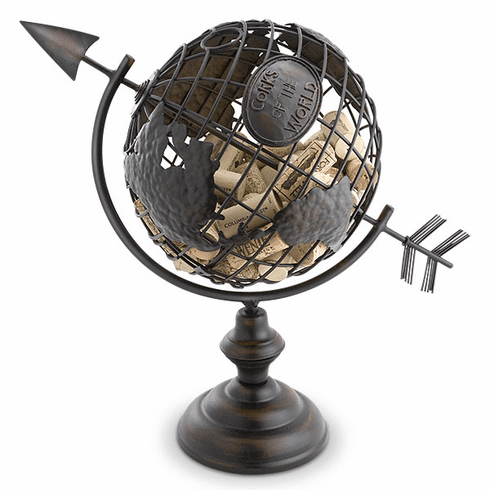 Based on the traditional spinning globe with an old world European metal works influence, the Corks of the World Cork Cage is constructed from sturdy metal with a solid base. It features a soft patina finish, spinning globe center with an arrow pointing straight through it.